Mario and Richie have always been the first people to lend a hand to others in their time of need. Now it is our turn to help them, as Hurricane Irma and now Hurricane Maria continue to have devastating impacts on their lives, and put them in very real danger. The small island of Vieques, Puerto Rico, where Mario and Richie have made their home, had still not recovered from the destruction left by Hurricane Irma in early September. Now, just weeks later, Hurricane Maria delivered a more direct hit. According to a spokesman for Puerto Rico's Governor Ricardo Rossello "This is total devastation". Mario and Richie lost power and all contact with the outside world on Tuesday (Sep 19). Although they have (thankfully) been preparing and have a concrete house, they faced wind speeds of at least 155mph, heavy rain, storm surges, flooding and possible landslides. We are hoping they both fare well. All we can do today is wait to hear from them. Yet even after the storm passes, the obstacles Mario and Richie face will be mounting. Vieques is located off of mainland Puerto Rico, where residents rely on the mainland for many basic goods. Even under regular conditions, Mario and Richie are only able to get the majority of their food supply, building material, clothing and pet supplies by taking the ferry to the mainland. 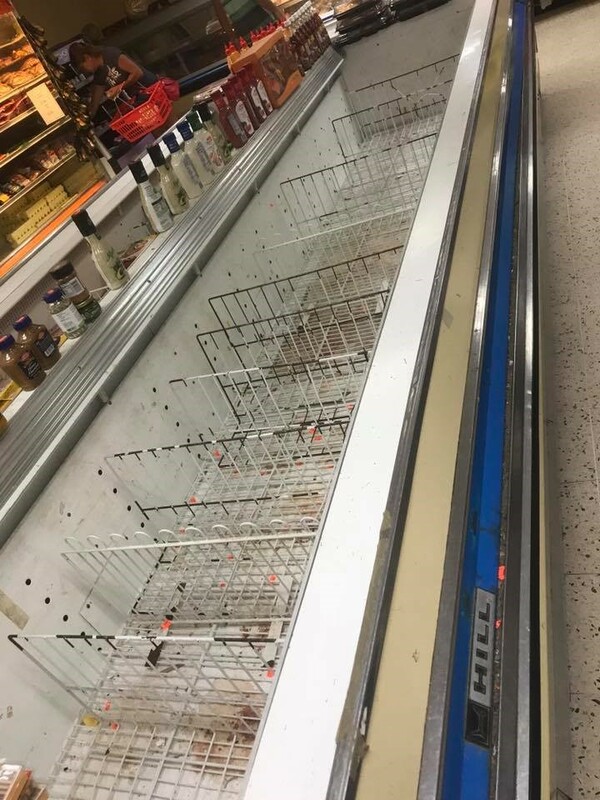 Now, as the mainland also sustained incredible damage and ferry service to and from Vieques has stopped, basic resources such as food, water and fuel will remain scarce. Before the storm hit, Mario and Richie found themselves needing to buy basic necessities they would ordinarily purchase on the mainland for astronomical prices. 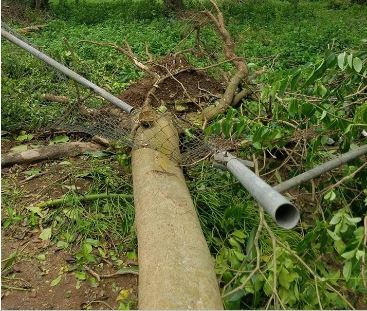 Electrical power is solely supplied to Vieques from the mainland, via infrastructure already in a fragile state ("degraded and unsafe ") prior to impact of hurricanes. Hurricane Maria leaves 100% of Puerto Rico without power. It could take days for the island to recover cell coverage and weeks or months for the island to regain power. 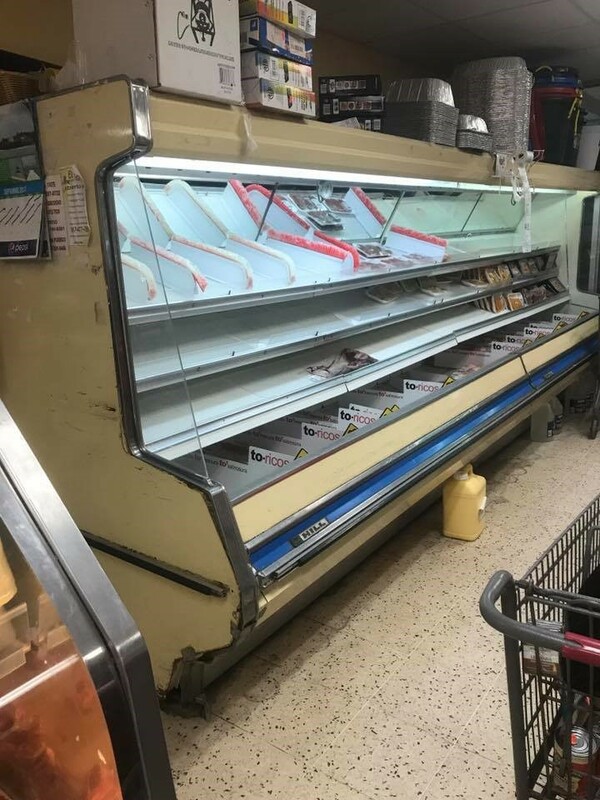 Without power, basic necessities such as refrigeration becomes a huge issue, especially in the temperate Caribbean climate. As many of you know, Mario and Richie have already persevered through numerous challenges in order to build their life and home in Vieques. Now, there is a very real possibility they could lose everything. Until effects of Hurricane Maria pass and we hear from Mario and Richie, we will not know for sure what damage has occurred. 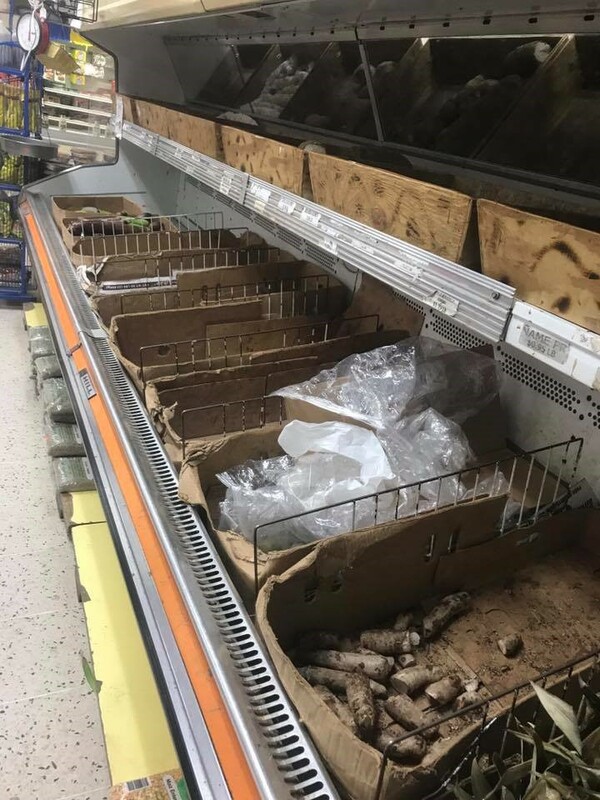 However, since they were left with no power for a week after Irma, they lost much of their existing food supply and purchased ice daily to keep what food they did have from perishing. Repair expenses to date include a destroyed fence due a downed tree during Hurricane Irma. They will certainly have to face lost wages, medical expenses and cost of repairs to and around their home. And if they are left with no option but to evacuate, they will need a way to get out and a place to stay. 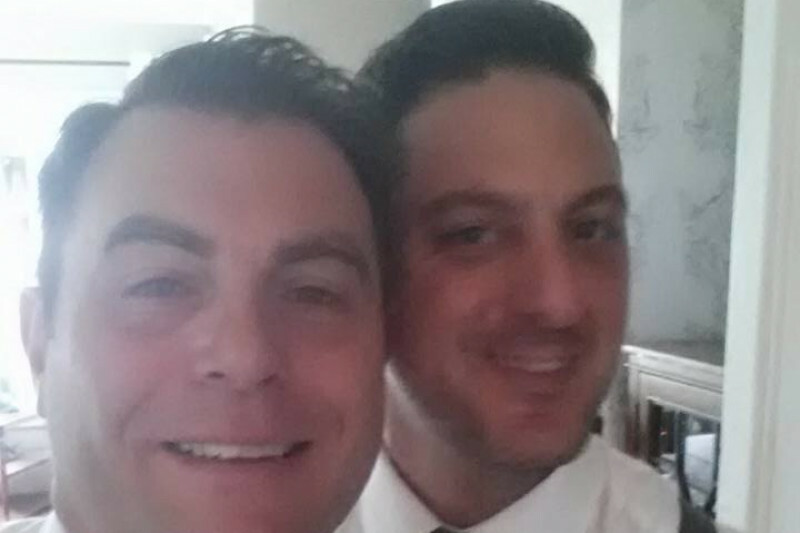 Please join me in offering much needed support to Mario and Richie during this time. They will be appreciative of any donation you can make. Lastly, please also consider sharing this gofundme with your friends. Tell them stories about Mario and Richie, how kind-hearted and hard-working they are, how much joy and laughter they have brought to people (and animals!) around them. Let us do everything we can to make their path to rebuilding lighter. I will try to provide updates on Mario and Richie's safety and further needs as I receive them. Thank You! I want you all to know your contributions have helped Mario and Richie start repairing damage to their home in an effort now of preparing for hurricane season. As many of you continue to follow Mario and Richie updates, struggles of the Hurricane Maria aftermath continue. For as long as the Island of Vieques has power supplied by generators (estimated to be 2 and now more like 4 years!) there will be a need to purchase fuel in ample supply. The island generator goes out frequently and stays of for an unknown amount of time . So when that happens, on goes Mario and Richie's generator. Please feel justly proud of your efforts since you have helped where government assistance has not. Keep an eye on process in Puerto Rico and Vieques. Below are current items at the 6 month anniversary of Hurricane Maria. Please join me in wishing Mario and Richie Happy 5th Anniversary! Happy Birthday Mario! Our birthday wish for you is that what you want most in life comes to you in the year ahead. Hurricane Irma hit on, Wednesday, September 16, 2017 and only two weeks later, the more devastating Hurricane Maria hit Vieques on Wednesday, September 20, 2017; 132 days ago changing lives of so many where progress remains slow and hampered. It is impossible to summarize all of what Mario and Richie are dealing with on a daily basis. What I would like to resonate with you is yes, how long it has been, yet also how long it will take to recover; financially and emotionally. Since September, Mario and Richie continue to describe their day to day as Ground Hogs Day. Waking up to account for what they have, what they need and what they long for since normalcy remains still a dream. What I can tell you is communication; cell phone and Internet service remains unreliable. Fortunately apps seem to be faring a bit better which is great since there is at least a little connection with the outside world. Unfortunately Mario and Richie’s house sits between two towers destroyed by the 155 mph wind at the height of Hurricane Maria. When a call does come through it fails consistently. Even as of late last week cell phones of many on Vieques read: NO SERVICE! So picture it; efforts to reach out to loved ones, pay a bill or make sure claims are being processed become a daunting task. So what happens to business placing orders or homeowners checking on status of FEMA and Home Insurance Settlements? I have been able to step in and assist with some of this, bridging the communication gap otherwise deadlines would have come and gone if the only option was reliant on Mario and Richie’s ability to do so. To put it in perspective, a phone call to FEMA lasts 40 minutes or more after navigating numerous menus to speak to a representative, verify who you are, ask and then get a response to the current issue. PLUS, I have the added bonus of being able to access their claim on-line (should not be extraordinary at this point) so can readily reference documents and such with the FEMA rep.
FEMA damage inspection took place days before Christmas. Home Insurance claim filed for the catastrophe is in process. Determination of any monetary value has not occurred and is not expected for what could be months. Then it will be a matter of which entity will cover what portions of the damage. Having such funds would be super helpful now since during this time, preparation and construction need to start happening since so much will need to happen and it all needs to really get done before hurricane season is back upon them. In the meantime, struggles exist and there are oh so many more questions than answers. Open cracks in the roof, exterior concrete walls and interior ceilings are subject to continued exposure of rain and humidity. Concrete is porous so mold in the cracked crevices continues to proliferate making it impossible to do repairs needed on the inside of the house. Mario and Richie’s house is connected to the island generator while many areas of the island continue to rely on their own generators or are yet without power. While it is a blessing, they remain vigilant to continue to have a fuel supply in case the island generator malfunctions or is shut down for maintenance. On a larger scale, the Island of Vieques prospers through tourism with the main attraction being its pristine beaches. When will beaches, that remain closed with a few exceptions be open? Fingers crossed there is action taken for next season. Piles of debris remain on the side of roads and in empty lots. Piles consist of household items (sinks, refrigerators, furniture, etc.) building materials (concrete, corrugated metal roofing, etc. are breading grounds for bugs, rodents, deterring water from streaming down gutters on the side of the roads, with another factor being how quickly the jungle grows and how quickly piles will just disappear from view. Through all of this Mario and Richie continue to do what they can as they can. Let’s continue to provide support in any way possible. Please in wishing Mario a Happy Birthday offer support during this time of unknown in a way that will be most beneficial and have the greatest impact. Please donate through gofundme, via PayPal or take a look at Amazon Wish List. Thank you for your generosity and continued support! As we can see in articles below, much in Puerto Rico remains broken. It is during this time my thoughts go to Mario and Richie doing all they can do during this time of need in Vieques. Everything as far as lack distribution of commodities and snail pace communication remains the same. With the passage of time - 117 days since Hurricane Irma then Hurricane Maria hit Vieques and mainland Puerto Rico – what is severely concerning is people living through this catastrophe are realizing this is a LONG TERM problem. Money is an issue and will be until at least Fall 2018. Phone service is worse. People are already sad. Add inability to make a phone call to talk to loved ones to offer well wishes, share a story or two and have a couple laughs? It is heartbreaking. Please continue to join me in our effort to provide all the support Mario and Richie need to get through this. Share their stories with others. All of us need to remain aware of what is happening in Puerto Rico today. Enjoy your Happy New Year celebrations!